Some of London’s biggest corporate names dusted off their putters for the 5th annual City Golf Challenge, in aid of The Royal Marsden Cancer Campaign, raising £60,000 in a day. 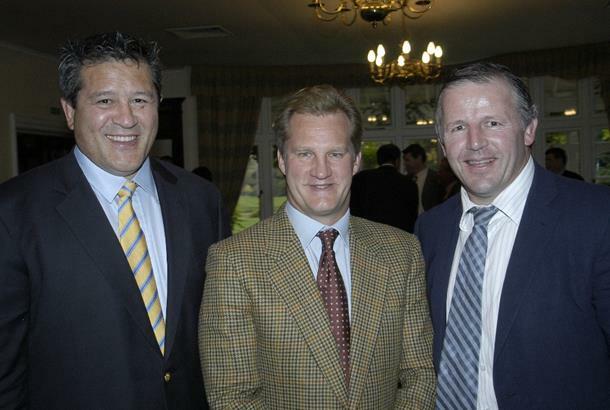 Fourteen teams from some of the City’s top financial institutions as well as a Special Guest team made up of former rugby internationals Michael Lynagh, Will Greenwood, Zinzan Brooke and Sean Fitzpatrick, lined up on 1 November for a best two from four Stableford tournament at the exclusive Sunningdale Golf Course in Berkshire. Crispin Odey’s team won the day with a score of 88 points and also claimed the prize for longest drive. Following the golf, the players were treated to a delicious three-course lunch before digging deep for a charity auction, led by Christie’s auctioneer Humphrey Butler. Malvin Sayle, Events and Liaison Manager for The Royal Marsden, said that once again it was a fantastic day: “Sunningdale was absolutely stunning and a huge thank you must go out to everyone who took part, for getting into the spirit of the day and most of all for being extremely generous.